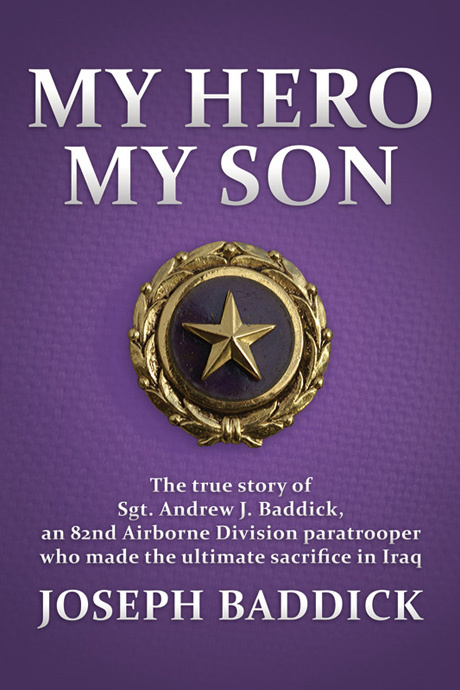 My Hero, My Son is a celebration of the life and achievements of Sgt. Andrew J. Baddick, an 82nd Airborne Divison paratrooper who sacrificed himself to save a fellow solder in Iraq. Narrated humbly by his father Joseph, the account begins with A.J.’s birth, details his youth in the Pennsylvania coal region, and continues through his life-defining military service. Through anecdotes, personal letters, and interviews, we witness an adventurous teen’s transformation into a soldier and an American hero. Joseph Baddick served as an 82nd Airborne Division paratrooper before working for the Pennsylvania Department of Corrections for twenty years. Originally from the coal region, he now resides with his wife Sheila in Berks County, PA. He enjoys golf, winemaking, fine dining, traveling, the outdoors, and spending time with his grandchildren.